Adaptive devices are appliances or technologies used by people with physical limitations or disabilities to help them lead lives that are as independent as possible. These devices can improve a person's mobility and level of function as well as the ability to perform daily activities, such as dressing, bathing, and eating. Adaptive or assistive devices may be used to help people hear, see, and communicate. Students with disabilities may use adaptive technologies to help them access information, participate in classroom activities, and complete assignments. Click here to find adaptive devices in your area. This May, join the Administration on Aging in celebration of the 50th anniversary of Older Americans Month, a proud tradition that shows America’s commitment to honoring the value that elders contribute to our communities. Wondering how you can show your appreciation to the older adults in your community? Start by becoming a fan of the U.S. Administration on Aging’s Facebook page by clicking here! Or join local leadership at the Jefferson County Courthouse for the reading of the Older Americans Month proclamation on Tuesday, May 7 at 8AM. As we pause to think about how we can support and appreciate older adults, it’s important to remember that people with disabilities and their families also need our support as they age. Did you know that there are more than 1,600 seniors with intellectual and developmental disabilities living in our area? Did you know that nearly a quarter of these seniors are living with a caregiver who is a senior themselves? 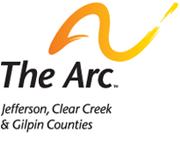 From this weekly “Looking to the Future” feature article to our partnership with several local initiatives, The Arc is working on a variety of levels to make sure our seniors are informed and empowered. As part of Older Americans Month, please help us connect with others by forwarding this email to other seniors who are living with or caring for someone with a developmental disability. The Aging Well Project is a strategic planning project focusing on what Jefferson County needs to do to prepare for the increase in seniors in the next 20 years. Their mission is to develop and implement strategies creating inclusive, livable communities through sustainable partnerships and integrated services. People with I/DD are well represented by the Arc and DDRC on the project's work groups and leadership committee. You can learn more about this innovative project here! The Alzheimer's Association is the world's leading voluntary health organization in Alzheimer's care, support and research. Their mission is to eliminate Alzheimer’s disease through the advancement of research; to provide and enhance care and support for all affected; and to reduce the risk of dementia through the promotion of brain health. When Alzheimer's touches your life, they can help. Click here to learn more. Interested in learning more about assisted living residences? Various agencies of Colorado state government provide resources concerning the issues of seniors and aging as well as for caregivers. Click here for a quick information guide to selected print and electronic publications as well as web sites maintained by state agencies. Many current and historical print publications on this topic are available to borrow from the State Publications Library. For information email spl@cde.state.co.us or click here for more information. There are benefits you may be missing! Benefits Checkup Colorado is a free statewide program that helps adults with disabilities and/or adults over 55 years of age find and enroll in public and private benefits programs. It can also help you connect up and fill out benefit applications. Benefits Checkup Colorado is a collaborative project of St. Anthony Hospitals, AARP and the National Outreach Partner for BenefitsCheckUp - a service of the National Council on Aging, The Rose Community Foundation, HealthOne Alliance and The Colorado Trust. For more information, visit St. Anthony’s Benefits Checkup site or call (303) 629-4996. The Colorado Department of Human Services provides this web site as an educational resource for the people of Colorado to learn about the issues surrounding the elderly and disabled in Colorado. You can also find links to many community and government agencies that can provide in-home services and financial and medical assistance. The Certified Financial Planner (CFP) Board is a non-profit organization acting in the public interest by fostering professional standards in personal financial planning through its setting and enforcement of the education, examination, experience, ethics and other requirements for CFP® certification. Learn more by clicking here. Have questions about legal issues? Check out the Colorado Bar Association’s Elder Law Section. The Colorado Bar Association Elder Law Section works to provide practitioners with knowledge about elder clients and their legal concerns, and to educate the broader community. Topics include guardianship, conservatorship, Medicaid estate planning, health care, powers of attorney, advance medical directives, nursing home patient's rights, and elder abuse and exploitation. The Colorado Center for Hospice & Palliative Care (COCHPC) strongly believes in the value of hospice care as the highest-quality care for patients and family caregivers struggling with serious and life-limiting illness. It is the mission of the COCHPC to work to increase access to palliative and hospice services and promote quality standards of care for all Coloradons. Learn more here. As you are probably aware, seniors are at an increased risk of experiencing abuse, neglect, or exploitation. The Colorado Coalition for Elder Rights and Abuse Prevention (CCERAP) was created in 1993 to address this vulnerability. Since their inception, CCERAP has established a secure reputation throughout Colorado for providing exceptional training opportunities and in-depth information, addressing the most challenging issues facing the elderly. CCERAP’s activities focus on the identification, prevention and treatment of elder abuse, neglect, and exploitation (including financial exploitation). CCERAP provides education, training opportunities for professionals in the aging services network, and resources and referrals for all citizens of Colorado. To learn more about this resource, click here. When searching for information about programs for seniors, be sure to check out the Colorado Department of Human Services (CDHS) web site for information about programs for seniors and people with disabilities. The site provides links to many community and government agencies that can provide in-home services, financial and medical assistance, and a variety of support programs. The Colorado Gerontological Society (CGS) is a nonprofit organization that provides advocacy, information and assistance to Colorado seniors as well as education and networking for aging professionals. Older adults and their families are encouraged to call or visit CGS for assistance regarding housing options; nursing home placements; questions regarding health insurance; food supplies, or location of a geriatric physician. A counselor will consult with the individual to understand the problem, work to identify and prioritize solutions, and help to arrange services. More information can be found by clicking here. Depression is not a normal part of aging. Yet depression is a widely underrecognized and undertreated medical illness. Depression often co-occurs with other serious illnesses, such as heart disease, stroke, diabetes, cancer, and Parkinson's disease. Because many older adults face these illnesses as well as various social and economic difficulties, health care professionals may mistakenly conclude that depression is a normal consequence of these problems — an attitude often shared by patients themselves. These factors together contribute to the underdiagnosis and undertreatment of depressive disorders in older people. Depression can and should be treated when it co-occurs with other illnesses. Click here to learn more. The Eldercare Locator, a public service of the Administration on Aging, U.S. Department of Health and Human Services, is a nationwide service that connects older Americans and their caregivers with information on senior services. Click here to access their database or call 1 (800) 677-1116. Fall prevention may not seem like a lively topic, but it's important. As people get older, physical changes and health conditions — and sometimes the medications used to treat those conditions — make falls more likely. In fact, falls are a leading cause of injury among older adults. Click here to download information on fall prevention. If you have a medical condition, consider completing a "File of Life." The File of Life is a simple form that contains critical medical information that can assist medics responding to an emergency at your home. To request a File of Life, contact the Jefferson County Sheriff's Office Emergency Management office at 303-271-4900. If you live in Clear Creek, find more information here. Do you sometimes run short on grocery money? If you are aged 60 or older with an income below $1245 a month, you may be eligible for grocery assistance from Food Bank of the Rockies. Eligible seniors will receive food packages containing canned items (fruit, vegetables, meat or fish), bottled juice, shelf stable and instant dry milk, cheese, pasta or rice, dry beans or peanut butter and cereal. For more information, call Kelly Bacher at Food Bank of the Rockies (720) 473-6323 ext 26. If you are getting older and having more health problems, you may want to consider seeing a doctor who specializes in geriatric medicine. A geriatrician is a physician who has completed a residency in either Internal Medicine or Family Medicine with an additional 1-2 years training fellowship in the medical, social, and psychological issues that concern older adults. This specialty is increasing in importance as the population ages and that aging population lives longer. People over the age of 85 are the fastest growing segment of the population. In fact, It is no longer a rarity for people to live to be one hundred. Click here for more information. Need a ride? Transportation services are an important part of maintaining a high quality of life. Check out the Getting There Guide! Produced by the Denver Regional Mobility & Access Council , the Getting There Guide is intended to help bridge the transportation gap for local citizens with limited mobility, thus helping them live as independently as possible. Click here for more information! InnovAge is a dedicated network of experts who strive to make personalized senior care decisions simple and affordable. They strive to make it easy to find superior programs and services for aging adults, offering the support needed through programs and a network of trusted community partners. Click here to learn more about their programs. Interested in learning more about how rapidly Jefferson County’s residents are aging? Click here to view a comprehensive look at the county’s demographic profile as of January 1, 2012. The downloadable PDFs available at the above link feature data and projections out as far as 2040. Data used for this update was primarily derived from 2010 US Census. Do you have questions about human, civil and legal rights of people with disabilities and older people? The Legal Center for People with Disabilities and Older People is a nonprofit that provides advocacy to individuals throughout the state of Colorado, from its offices in Denver and Grand Junction. The Legal Center was designated as Colorado’s protection and advocacy system in 1977, protecting the rights of individuals with developmental disabilities. Since then, The Legal Center has acquired a number of other protection and advocacy programs for people with disabilities and two programs that protect the rights of older Coloradoans (individuals 60 years and older). Currently, The Legal Center operates eight protection and advocacy programs for people with disabilities and two programs for older Coloradoans. Volunteers of America's Meals on Wheels Program serves Adams, Arapahoe, Clear Creek, Denver, Douglas, Gilpin, Jefferson and Larimer counties. Each meal consists of an entrée and accompaniments such as vegetables, fruits, breads, milk, etc. that are needed to provide at least one-third of the recommended daily nutrients for older adults. The meals are low in fat, cholesterol and sodium, and provide the valuable nutrients older adults need without the additional calories. Program services also include nutrition education, information and assistance in accessing other services available to homebound seniors. An individual must be 60 years of age or older and assessed as homebound to receive Meals on Wheels. Other criteria for eligibility apply in specific limited circumstances. To determine if you or someone you know is eligible for Meals on Wheels in Adams, Arapahoe, Denver, Douglas, Jefferson, Gilpin or Clear Creek County call (303) 294-0111. Learn more by clicking here! Did you know that nursing home care is not automatically covered by Medicare? Under certain limited conditions, Medicare will pay some nursing home costs for Medicare beneficiaries who require skilled nursing or rehabilitation services. To be covered, you must receive the services from a Medicare certified skilled nursing home after a qualifying hospital stay. You can see if your costs qualify and learn more by clicking here. The Medicaid Buy-In Program for Working Adults with Disabilities (Adult Buy-In) is an adult medical assistance program that provides Medicaid benefits for working individuals with disabilities, ages 16 through 64. The Adult Buy-In option allows people who would typically not qualify for Medicaid to buy into the program on a sliding scale basis. Eligibility is based on income level. Regular Medicaid benefits include, but are not limited to, office visits, hospitalizations, x-rays, home health services, durable medical equipment, and prescription medications. As we all know by now, our health can change as rapidly as Colorado weather. In the event of serious injury or illness, each of us should have a Medical Durable Power of Attorney (MDPOA) in place. An MDPOA gives the person you designate the authority to make medical decisions for you when you are unable to do so for yourself. If you are the parent or relative of an adult with intellectual and developmental disabilities, you should make sure that such a document exists for your loved one. To learn more about MDPOAs and other advance care planning documents, visit www.coloradoadvancedirectives.com. The National Family Caregivers Association educates supports, empowers and speaks up for the more than 65 million Americans who care for loved ones with a chronic illness or disability or the frailties of old age. NFCA reaches across the boundaries of diagnoses, relationships and life stages to help transform family caregivers' lives by removing barriers to health and well-being. Visit www.nfcacares.org to learn more. The Network of Care is a comprehensive, Internet-based community resource for seniors and persons with disabilities, as well as their caregivers and service providers created by the Denver Regional Council of Governments (DRCOG). This easy-to-use Web site provides an extensive directory to put people in touch with the right services at the right time. It also offers vital information about diseases, situations, assistive devices and caregiving, as well as daily news from around the world concerning aging and disabilities. Visit www.drcog.networkofcare.org to find services, learn about resources, and get connected. The Partnership for Prescription Assistance helps qualifying patients without prescription drug coverage get the medicines they need through the program that is right for them. Those who qualify receive their medications for free or nearly free. Click here to learn more and see if you or someone you know qualifies. Lakewood's Clement Center for older adults is offering a new program called "People on the Move." It focuses on teaching older adults how to safely and confidently expand their transportation options by providing training and tips for having a positive Regional Transportation District bus and light rail experience. The program includes a class and an outing. Call (303) 987-4820 for more information. Recognized by the Older Americans Act (OAA) as a community focal point, senior centers have become one of the most widely used services among America’s older adults, 11,400 senior centers serve more than 1 million older adults every day. Senior centers serve as a gateway to the nation’s aging network, connecting older adults to vital community services that can help them stay healthy and independent. Get connected to your local senior center by clicking here! and families with useful information on myriad subjects pertinent to their legal concerns. Much of the information in the Senior Law Handbook is based on current laws and practices in Colorado, as well as policies and programs of the federal government. The information provided in the Senior Law Handbook is not intended to replace the advice and services of an attorney. We urge you to contact an elder law and/or probate attorney for advice relating to the particulars of your situation. Click here to access the Senior Law Handbook. Senior Reach is a community program that identifies older adults who may need emotional or physical support or connection to community services. It’s a simple way to help older adults get assistance before a serious crisis develops. Senior Reach provides volunteers who are educated to observe behaviors that indicate an older adult may be in need of help. Volunteers contact the Senior Reach Call Center and explain their concerns regarding seniors they are in contact with. The Call Center will contact the identified senior and if the older adult agrees, a member of the Senior Reach Team will do a home visit to determine what services are needed. Learn more by clicking here. SeniorSource, a website run by 9 News, is a resource for aging and living well. Covering topics such as alternative transportation, fraud protection, arts and crafts and many more, Senior Source seeks to address the issues many aging Coloradans may face. Click here for more information! SeniorSource, an online resource for aging and living well, has information and resources on a number of topics such as Veterans Benefits, the Affordable Care Act, financial planning, recreation and nutrition. They also offer this information for people who are Spanish speakers. Click here to access SeniorSource in Spanish. As an adult with a disability, you may be eligible for additional social security income and medical insurance. Eligibility depends on a number of variables, including whether a parent is retired, receiving disability benefits themselves, or deceased, and the age and marital status of the benefit recipient. Because these programs are administered by the federal government, recipients must have a disability that started before the age of 22. To learn more about this topic, check out the Social Security Administration’s site concerning Benefits For Disabled Children. As this can be a very complicated topic, The Arc’s advocates are available to assist with this issue and can be reached at (303) 232-1338. St. Anthony Hospitals Health Passport Links is a FREE connection to experts and services that help you save money on health care, prescription drugs and other costly medical expenses. Plus, they provide access to hundreds of assistance programs, including lesser-known options. Click here for more information. As a national leader in addressing the rights and needs of people with intellectual and developmental disabilities (I/DD), The Arc believes that people with I/DD, as they age, must have every opportunity to be recognized as respected members of the community. Community services and supports that are geared to older community members must accommodate the supports needed by those who have also experienced lifelong disabilities. Click here to read the full position statement. At a local level, our chapter of The Arc is working to fulfill these intentions through our collaboration with other organizations and policymakers. Through these partnerships, we will ensure that people with I/DD in Jefferson, Clear Creek and Gilpin Counties have the opportunity to maintain as much independence as possible as they age; to access services and supports available to all seniors; and the opportunity to connect with other older adults in our communities.